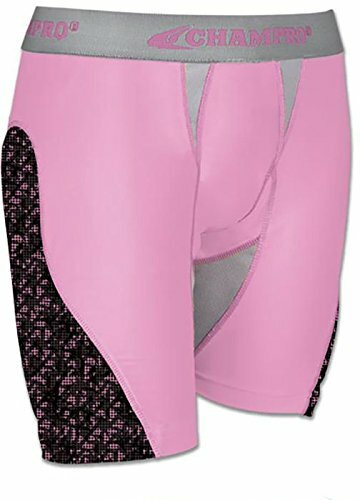 Women's Slider with protector is designed specifically for females which features a removable pelvic protector. Also includes sliding pads to protect you from injuries. 100% MADE IN THE USA. These shorts combine great value with the high quality you expect from WSI. The lightweight Microtech fabric offers comfort and style. Our Microtech fabric features Anti-Snag and superior Moisture-Wicking technology. The Anti-Snag technology works to prevent snags better than our competitors' performance shirts. Ideal for use as a base layer or casual performance shirt. 100% MADE IN THE USA. The Printed Hook Slide by Intensity is a Low Rise Slider designed for the female form. 7" inseam with internal hip, thigh, and pelvic pads. Seamless front construction provides comfort, flat lock seams prevent chaffing, mesh inner thigh and crotch gusset improve circulation and hygiene. Waistband is 1 1/4" comfortable plush fabric. 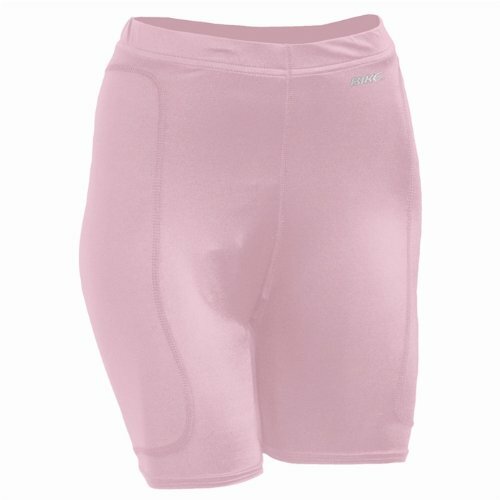 Made from Lightweight MzO Micro-fiber Polyester with Lycra, the Mizuno Low Rise Sliding Compression shorts are designed specifically to fit a woman's body. The double ply side panel provides extra protection, and the MzO liner provides breathability and comfort. 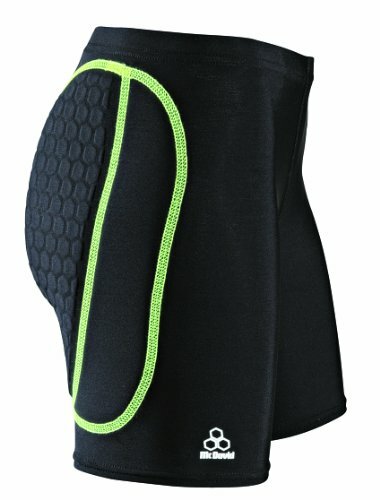 True compression for faster muscle recovery. Womens Easton Fit allowing natural movement and speed. Back mesh insert for ventilation and mobility. 4" inseam. 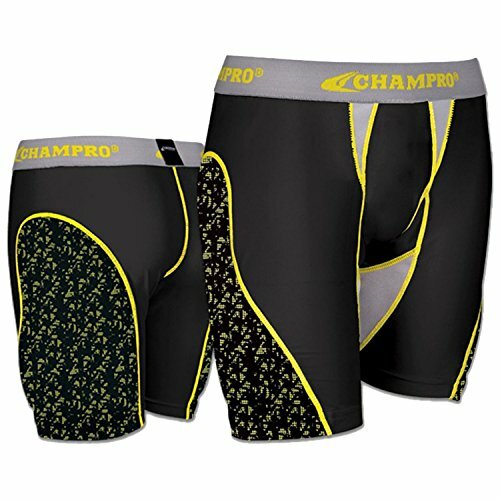 True compression for faster muscle recovery. Womens Easton Fit allowing natural movement and speed. Back mesh insert for ventilation and mobility. Lightweight HeatGear fabric wicks sweat to keep you cool, dry, and comfortable. 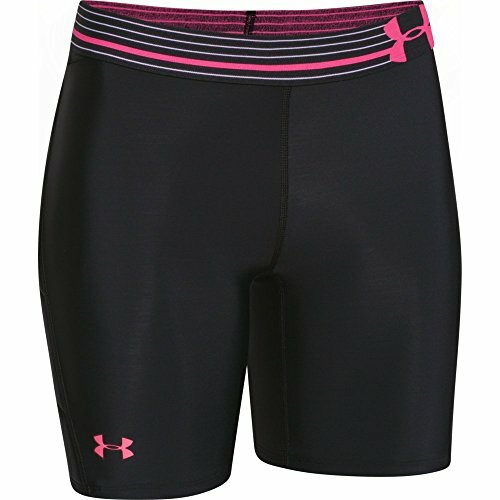 Trace W899 Women's Compression Sliding Shorts are made with 4 way stretch material that is breathable and transfers moisture away from body to keep you cool and comfortable. Two panel construction designed for women provides a great fit. Sewn-in padding for extra protection while sliding. Supports abdomen and hamstring and has sewn in padding for protection. 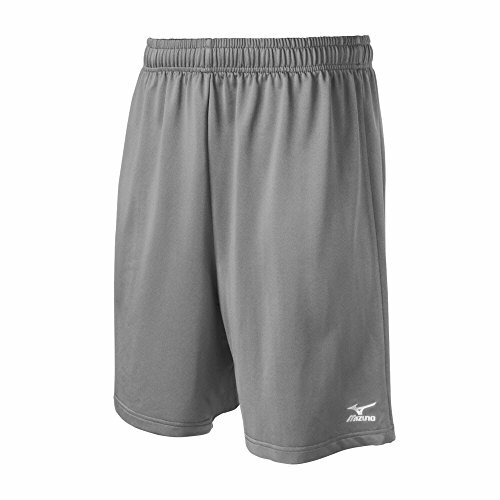 Lightweight flexible construction with Mizuno DryLite Technology that transports excess moisture away from the body. No pocket design for game or practice use. Mizuno Runbird logo heat transfer on lower front left. 10 inch inseam. Since 1918, coaches and sports medicine professionals have relied on Cramer to maximize the performance of their athletes. The brand helps players of all ages and skill levels, and its legacy of product specific knowledge has made it a cornerstone of the industry. Drawing on the experience of nearly a century devoted to product innovation, Cramer meticulously crafted a line of protective apparel that enables competitors at every level to go harder and play safer. Research and development specialists took ideas and materials out of the workshop to test in real game-time conditions, and the items offered today survived intense scrutiny by those actual athletes in the field. Now, the garments embody the highest commitment to safety, style, and comfort so that the only focus is the game, not the gear. From optimally compressive fabrics to dynamic pad systems, Cramer apparel is designed to perform, proven to protect and built to last. 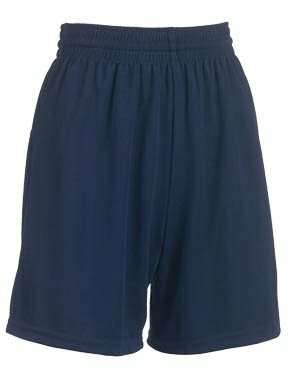 Cramer softball sliding shorts for women featuring a low-rise design and two-ply polyester cloth padding on the hips and outer thighs. Two-ply polyester fabric offers a more tapered feminine appearance, while foam padding offers the best cushioning at impact. 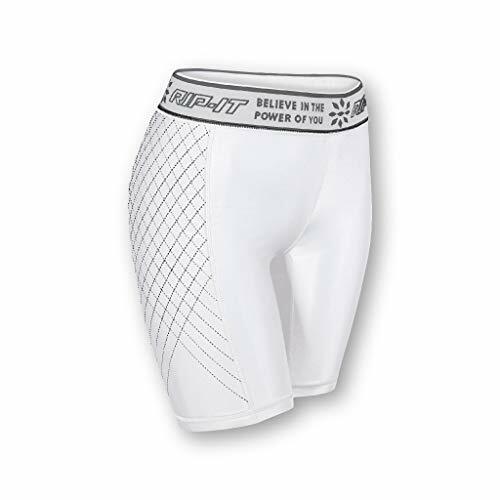 Fabricated of 75% Nylon/25% Spandex with 1.5-inch spandex elastomer waistband, 5-inch inseam and inner thinly padded liner.moisture-wicking. Sold in both youth and adult sizes. Available in white, black, red, royal blue and navy blue. Step up to the plate and play protected in armor that empowers. 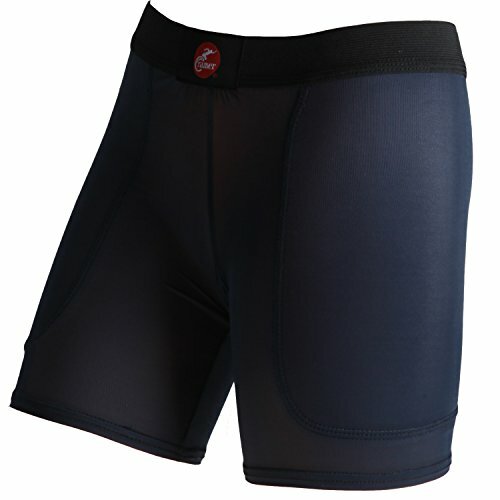 The RIP-IT Sliding shorts are designed for all the rough and tumbles of softball. Featuring high impact padding, these shorts are ready for every slide and dive. The game doesn't stop for mother nature. Come rain or shine, or even that time of the month, you're on the field. That's why RIP-IT designed one of a kind sliding shorts with built-in protection that make sure you're both confident and comfortable during the game. Stay cool and comfortable under pressure with the RIP-IT Sliding Shorts. They have breathable, anti-microbial fabric. It helps wick sweat and manage moisture so you can beat the heat and the opposing team all at once. Since its inception, our company's mission has been to improve the athletic experience through high performance and innovative softball gear. Although we've come a long way since our founder, Mike Polstein, was building face guards for his daughter in his garage, we continue to live by the core values we set back then. Package contains (1) RIP-IT Women's Classic Softball Slider. Features built-in period protection, high impact padding, and breathable, anti-microbial fabric to wick sweat and manager moisture. APPAREL THAT CAN TAKE A HIT: Step up to the plate and play protected in armor that empowers. 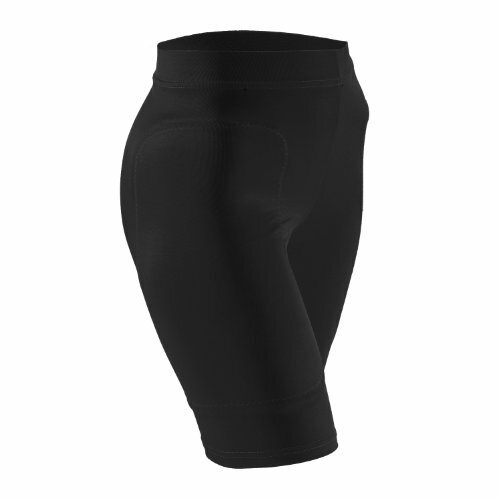 The RIP-IT Sliding shorts are designed for the rough and tumbles of softball featuring high impact padding, they're ready for every slide and dive. NOTHING HOLDING YOU BACK: Come rain or shine, or even that time of the month, you're on the field. That's why RIP-IT designed one of a kind sliding shorts with built-in protection that make sure you're both confident and comfortable during the game. BREAK A SWEAT: Stay cool and comfortable under pressure with the RIP-IT Sliding Shorts. They have breathable, anti-microbial fabric. It helps wick sweat and manage moisture so you can beat the heat and the opposing team all at once. THE RIP-IT MISSION: Since its inception, our company's mission has been to improve the athletic experience through high performance and innovative softball gear. We continue to live by the core values we set back then. PRODUCT SPECIFICATIONS: Package contains (1) RIP-IT Women's Classic Softball Slider. Features built-in period protection, high impact padding, and breathable, anti-microbial fabric to wick sweat and manager moisture. Women's low rise 7" slider shorts.